Millans scrapsida: Ett nytt kort! Här är ett nytt kort, som jag pysslade ihop igår! olika färger, så det är lättare att få till det lite snyggt. Beautiful card, I love the design, Thank you for playing along with us at We do Doobadoo, Good Luck. This is gorgeous. I love the sweet image and beautiful colours. Great colour combo! Thank you for joining the Crafting From The Heart Challenge, hope to see you again soon. I love this card, especially those colors. Thank you for sharing with us at Sketch N Stash! 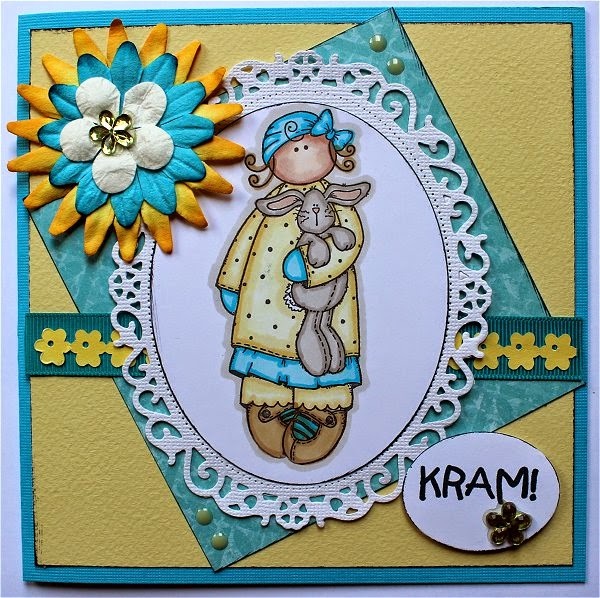 Fabulous card, thanks for sharing with us @ My Mum's Craft shop this month in our "Lots of layers" challenge .Good luck! !